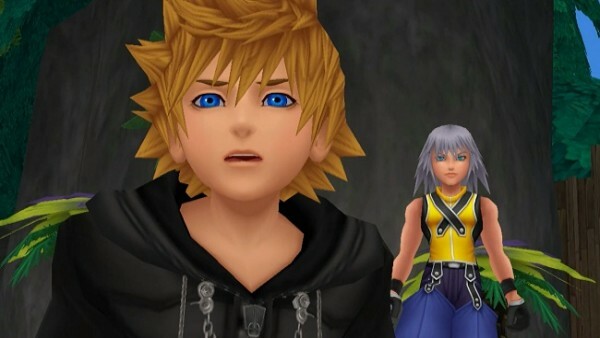 Years ago when Square Enix announced a partnership with Disney to create a game called Kingdom Hearts, few could have predicted how memorable the franchise would become. 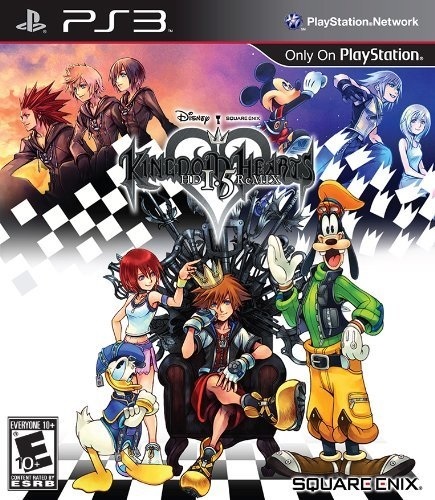 By combining Square Enix’s capabilities with numerous Disney characters from our past, the PlayStation 2 title remained one of the best games on the platform. Since then, numerous Kingdom Hearts titles have been released, albeit ones that have been all over the board as far as the series’ story goes. As such, Square Enix has taken three of games from the series and brought them together in HD for Kingdom Hearts HD 1.5 ReMIX. Does this HD collection of nostalgia manage to bring back the fond memories of the original titles or does it fall into a jumbled mess? Kingdom Hearts: Final Mix, the enhanced version of the original game that was never released in the West until now, begins with Sora and his two friends, Kairi and Riku, working together to build a boat. They have lived on Destiny Island with their families for years and while peaceful, they want to find adventure. However just before they are about to leave the island, Sora meets a cloaked man talking about the world. 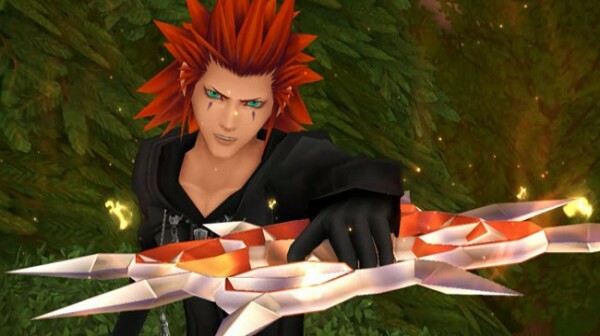 Unfortunately the appearance of this man is only the tip of the iceberg for Sora as the island suddenly comes under attack from shadow creatures called the “Heartless.” Even after he obtains a mysterious weapon called the Keyblade which possesses the ability to defeat these enemies, Sora and his friends are sucked into oblivion. Sora awakes to find that his world has been destroyed and that he is now alone in a strange place called Traverse Town. Here he meets up with Goofy and Donald Duck, the two of whom are on a mission from Mickey Mouse to find the keybearer and try to put an end to the darkness that is enveloping the various worlds. 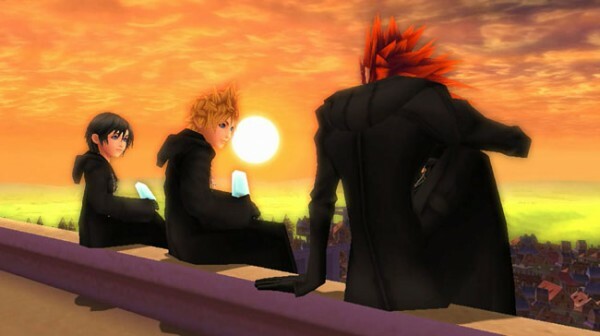 Kingdom Hearts then follows the journey of this trio as they make their way through numerous Disney worlds and defeating various monsters all in an attempt to not only possibly prevent further disaster, but to reunite Sora with his long lost friends. 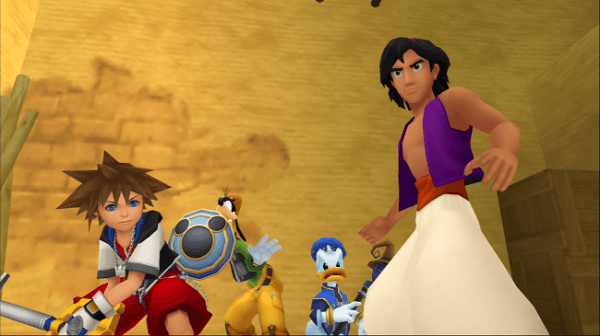 The overall storyline for Kingdom Hearts remains the same as ever, with players venturing into numerous worlds and seeing key moments of Disney movies carried out from a new angle as they play a part in how everything is prevented. Despite seeming impossible, the combination of Disney characters and Sora’s own personal goal make for a heartwarming story full of friendship, loss and love that makes it wonderful to experience, even if it’s for the second time. The bulk of the actual story takes place throughout Kingdom Hearts: Final Mix but it does continue a bit in Re:Chain of Memories which sort of acts as a bridge between the first game and its sequel where Sora’s memories are brought into question and Organization XIII is introduced for the first time. Finally there is 358/2 Days which provides a roughly three hour movie since all playable sections have been removed and it looks deeper into the origin of Roxas. These two inclusions serve to expand the players’ knowledge of the franchise and considering the lesser appeal of these two games when they were originally released, this may be the first time that many have actually heard these pieces of the story. Kingdom Hearts HD 1.5 ReMIX comes with three titles bundled in one disc and players are able to choose between these whenever the game starts up. As mentioned earlier, these games are Kingdom Hearts: Final Mix, which serves as the main attraction for this HD release, Re:Chain of Memories, and 358/2 Days which has been reduced to cutscenes only. 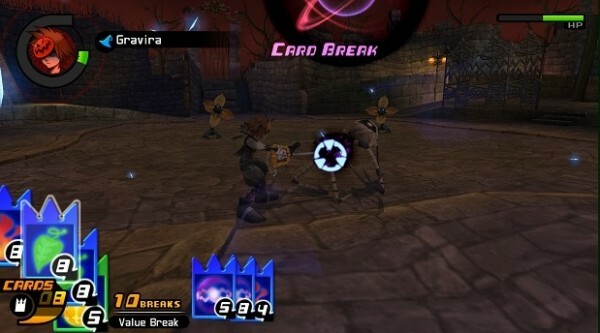 The gameplay of Kingdom Hearts remains very much the same as gamers remember it, as combat relies heavily on simply button mashing and maneuvering around enemies. 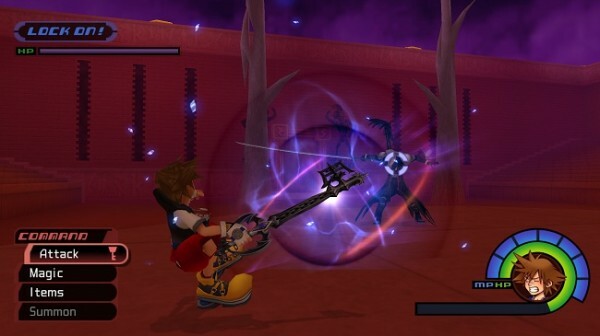 Players unlock various abilities that can be equipped and customized, new Keyblades and accessories to equip and more, to make Sora and his allies a better match for the player’s fighting style but for the most part, everything in the first game remains structurally similar. It is worth noting that since this is the ‘Final Mix’ version of the game there are a number of new weapons introduced, a few new scenes, that aren’t voiced, and other additions never found outside of Japan so this is clearly an enticing bonus on its own. However there has been a change in the way the camera works as well. Players are now able to control the camera with the right stick, making it a bit easier to control but this only slightly alleviates the camera issues that plagued the original release of the game. For those who don’t know, Re:Chain of Memories was actually something of a card game where players still fight against enemies, but they do so using cards that they have gathered. It is possible to gain a pre-emptive strike if the player strikes an enemy before engaging in combat, but these fights tend to be more technical than flashy. This card system can be frustrating to learn, especially the combo system, but it does feel more satisfying than slicing away at enemies like what is found in the first game. Since 358/2 Days is only available as a movie, there is no real gameplay to speak of, which is unfortunate since including the full game would have been better. That being said, players are able to skip chapters and rewatch scenes whenever they feel like, making it more akin to a DVD included with two HD versions of past games more than anything else. Considering the age of some of these games, especially the platform that 358/2 Days was released on, Kingdom Hearts HD 1.5 ReMIX easily lives up on the HD part of its title. The game’s visuals are sharp and look better than they ever have before. The numerous colorful worlds that players visit are striking and look absolutely wonderful when the player first enters them. That isn’t to say there aren’t issues still, as there are a number of areas that are rather barren and feel lifeless and backgrounds tend to be pretty bland more often than not. Cutscenes are impressive looking, with the details on characters really shining through, though there is some pixilation here and there. The newly revamped movie style of 358/2 Days is nicely handled as well, which is quite a task considering the game originally was released on the DS. Kingdom Hearts HD 1.5 ReMIX has managed to retain its impressive English voice track and although the newly added scenes in Final Mix aren’t voiced, the entirety of 358/2 Days has been given voice work for the first time ever. As for the soundtrack for these games, there are numerous songs that will instantly trigger nostalgia within players who have played these titles before. They are wonderfully produced here and sound better than they actually did originally; making them great fits for the action and scenes that they are paired with. Kingdom Hearts HD 1.5 ReMIX could easily have been a simple cash-in on a series that many gamers are fond of. However Square Enix has went the extra mile by bringing us the best version of Kingdom Hearts 1 and pairing it with another great title and pretty much the entirety of the story offered in 358/2 Days. With more Kingdom Hearts in the future, this HD release easily provides the best way for fans to reminisce and enjoy these games anew or for new players to jump into one of the most overly complex franchises in recent years.